From deploying your service to managing it - everything works fast and easy with HashCell™ Cloud. Our enterprise hardware and intuitve user interface make the features of our public cloud unbeatable! What is a VPS? A VPS is a single virtual node (VPS) on our cloud network. With the high variety of virtual servers at your disposal we make sure whatever your needs are, we have the right plan for you! If you are looking for a cheap and reliable VPS hosting company - I highly recommend Hashcell. Their support staff have always been very helpful when I have contacted them and their rates are very competitive. Couldn't complain! Just fantastic - good infrastructure, reliable servers and good ticket response times. They provide really nice VPS services, easy to set up and start working on, I would really recommend them. I've been using their services for few months now, and it all went smooth so far. Great for small and medium scaled projects and very cheap. Fast Support and transparent pricing. Love their hourly billing, even for Windows VPS. Haven't seen that by another hosting privider. 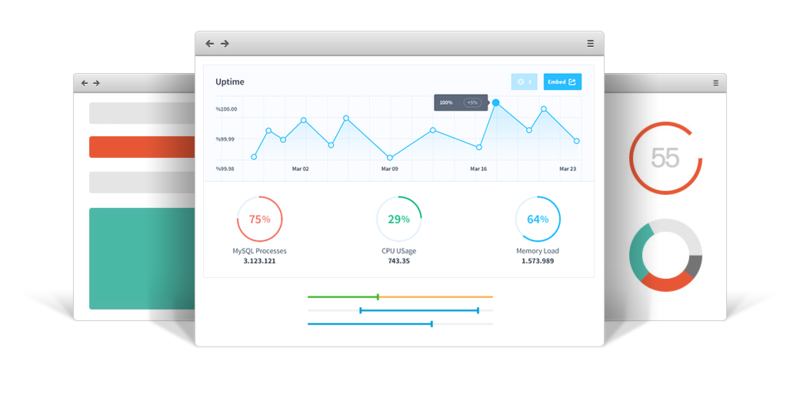 Monitor and manage every aspect of your VPS! From node load and resource consumption statistics to service upgrades and backups - everything is one click away with our intuitive and easy to use user interface.